Bring your Mercedes to Certified Automotive Solutions in Nashua for aftermarket services and get the same quality maintenance, same quality parts, and a 2-year, 24,000 mile warranty on all parts and labor - for much less than what you'll pay to a dealership. 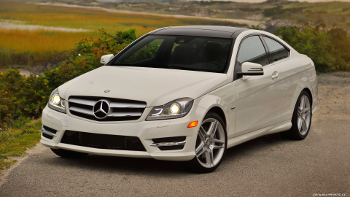 To arrange service for your Mercedes just give us a call at 603-880-8898 or send us an email. We specialize in engine diagnostics for Mercedes and electrical diagnosis of Mercedes cars, drivability problems, fuel injection service, and computerized engine controls. We also perform all regular Mercedes maintenance and repairs, tune ups, batteries, transmission and transaxle service, ABS brake service, mufflers, brakes, shock absorbers, timing belt replacement and more on your Mercedes. All work comes with a 2- year, 24,000-mile warranty to ensure your satisfaction. Got problems with Mercedes repair? Call us, we will help! Contact us or visit our auto service center with your Mercedes today!